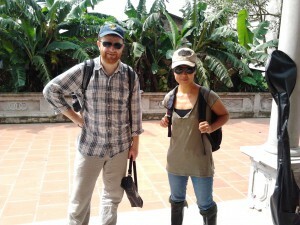 In the beginning of September 2013, the đàn tranh player Nguyễn Thanh Thủy went to Ngang Nội in the Bắc Ninh Province with Stefan Östersjö and Matthew Sansom from the Landscape Quartet. In Bắc Ninh, both of her parents grew up in the same small village of Ngang Nội, famed for Quan Họ the folk music tradition of love songs that emerge from the province and has had some of its most famous tradition bearers specifically in this little village. 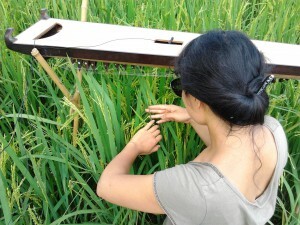 With a wish to revisit sites known from childhood and interact with the soundscape of the present day the three musicians worked up on the mountains around the village and on the rice fields. The two works presented at Manzi’s in december 2013 drew on material from both settings. 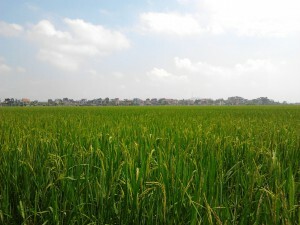 In the rice fields where she used to work as a child and catch grasshoppers to grill in the night, Thủy put her đàn tranh upside down to let the rice play it. Up on the mountain, Stefan Östersjö stringed his đàn đáy to three trees and played the instrument together with the wind in the trees. The installations at Manzi’s created by Matthew Sansom and Stefan Östersjö aimed at capturing the complexity of the interactions between the musicians and the landscape and of the intense sonorities of the Vietnamese countryside. is a group of four performers and sound artists: Matthew Sansom and Bennett Hogg (UK), Sabine Vogel (DE) and Stefan Östersjö (SWE). We work with ecological sound art with the fundamental approach of participation instead of representation. Through the dialogue between nature and acoustic instruments we create interactions with nature that can take shape as guitar/violin/tree sculptures; networked performances that connect multiple places in a landscape etc. We approach nature through a specific interest in human intervention where, alongside naturally occurring features of the landscape, paths and other traces of human activity, are understood as a sedimentation of history written into the landscape. We do not make a radical separation between “nature” and “human”, but instead seek to work with a more contemporary understanding of our interconnectedness with nature. The context of each live project is enhanced through small scale exhibitions of previous landscape projects which show the diversity of responses to the challenge of working in the natural environment. 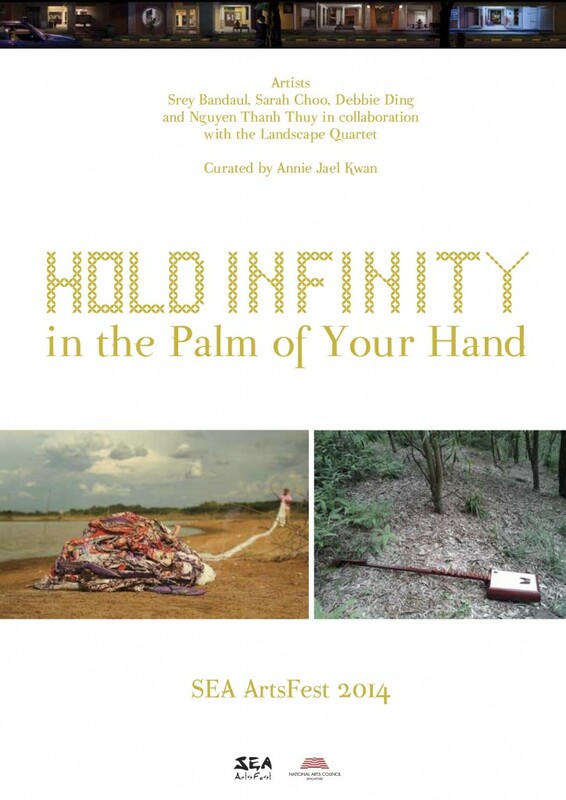 The Landscape Quartet brings a series of interactive artistic concepts to a place to create site-specific works. The process can be carried out in workshop settings in which questions of (musical) listening to nature as well as interactions between humans and nature would be central topics. For the audience, we offer performances out in nature to which we imagine sending invitations on short notice (through sms, websites or the like). The concept of performance space is rethought through choosing to work directly in particular places in order to creatively engage with their unique possibilities, bypassing some of the fixed cultural and social limitations that come with traditional concert venues. Rather than an empty, silent space in which to encounter sound art, our project embeds and integrates often quite subtle and complex sonic fields into a living, public space. The development of our artistic practice is documented in detail through audio and video recordings of previous projects. This material is also shaped into fixed sound and video art pieces that can be exhibited for some time prior to the live performances made as part of a residency, in order to develop interest in the project in advance, and therefore increase not only the size of audience, but their appreciation of the specifics of the project made as part of the residency. 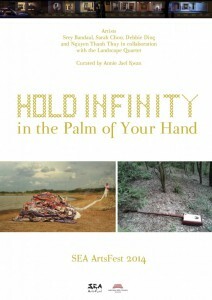 The exhibition at the Embassy Tea Gallery was titled Hold Infinity in the Palm of Your hand and organized as part of the Sea Arts Festival. An interview with Stefan Östersjö about the exhibition can be heard here.